Enjoy a delicious cup of coffee, tea or hot chocolate wherever you are! 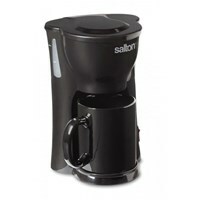 Now you can brew your favorite hot beverage from the convenience of your home, dorm, or office. This Space Saving 1 Cup Coffee Maker fits a variety of mug sizes. 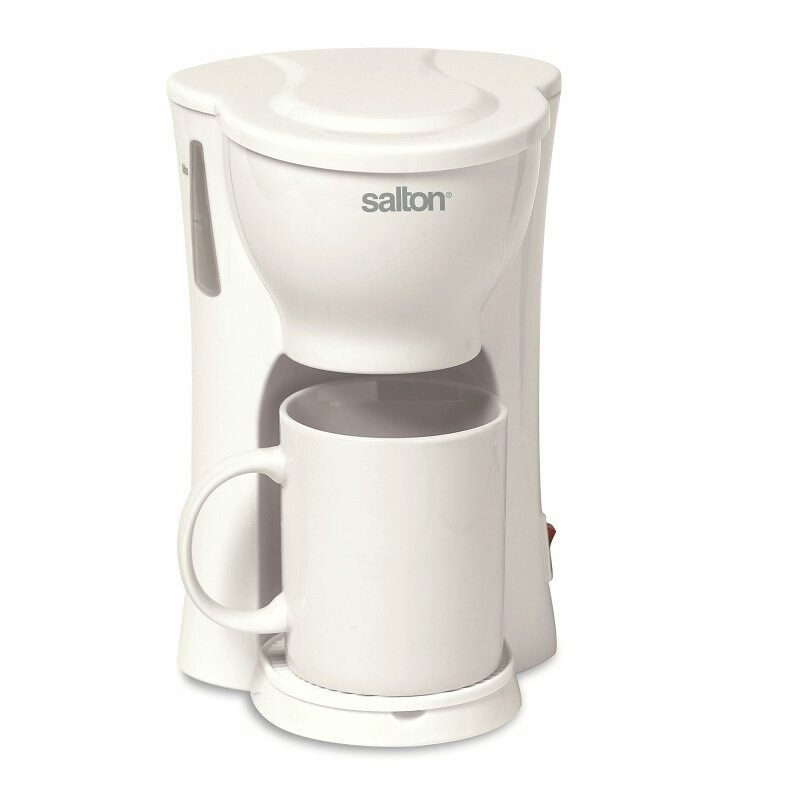 Equipped with a permanent nylon coffee filter; no more paper filters required. Includes ceramic mug, permanent filter and water level window. Instructions included. Plugs into a 120 Volt A.C. outlet. 60Hz 300W. Measures 8 3/4" high x 5 1/2" width x 6" depth.